When someone says, “fusion restaurant,” Asian-inspired dishes immediately come to mind. But in South Carolina, that’s just the tip of the fusion restaurant iceberg. From sushi palaces and hibachi flair to Tex-Mex and California-style eateries, the Palmetto State puts an interesting spin on food cultures. Here’s where you’ll find the 10 best fusion restaurants in South Carolina! This unique eatery is nothing like what you’d expect in a small town. Here you’ll find a selection of artistic cocktails and sushi that rivals those of much larger cities. If sushi isn’t your thing, they also serve up tapas, burgers, fish, steak, chicken, and a variety of sides to complement your meal. Dishing out the best of Thai and Japanese cuisine, you’ll find a heaping variety of sushi, Pho, fried rice, hibachi, and sake to fill just about any appetite. And just as amazing as the food here is the service. Fans rave about how the staff takes care to ensure every experience is nothing short of phenomenal. If you can’t decide between Mediterranean and Middle Eastern flavors, Pita House creates a little of both. 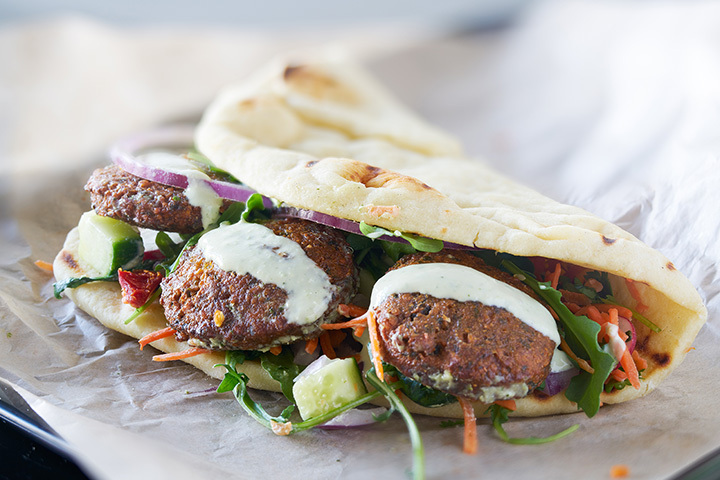 Here you can try some classic staples, like tahini or falafel, as well as tried-and-true favorites like gyros and shish kebabs. They also feature a variety of healthy, vegetarian dishes as well as an on-site grocery to help you stock your fridge. While Thai food is the main specialty here, Soulisas has a reputation for serving some of the best Japanese and sushi in the area. They’re also kid-friendly, so you can feel good about bringing the whole family in for a fun dining experience. This Mexican-infused restaurant also serves up nuances of North, Central, and South America, and even a little Asian teriyaki sweetness. The fried chicken tender taco pays homage to their South Carolina roots, and their Peruvian shrimp tacos are not to be missed. If you can’t get in the door to one of their two Columbia locations, they’ve also opened one in Greenville. Japanese, Chinese, and Thai live in harmony under one roof. You can find fun Asian favorites, like Bento boxes, sushi, and noodles, as well as traditional dishes like General Tso’s Chicken, fried rice, and curry. The menu here is rather extensive, which means you can keep coming back to new flavors every time. This restaurant combines the best flavors of Japanese and Korean cuisine in one eclectic menu. You’ll unique flavors and add-ins (Nutella, anyone?) that just don’t exist anywhere else. The chefs here take care to ensure that every plate is a work of art before it arrives at your table. This Mexican-inspired eatery combines some of your favorite south-of-the-border concoctions with a California spin. Your meal begins with a spicy bean dip in lieu of traditional salsa and chips, but if you’re craving salsa you can grab some from the buffet bar. They have a huge variety on their menu, which makes it hard to settle on just one meal (especially since everything looks tasty!). A variety of Chinese, Japanese, and Thai creations await you in these humble digs. Along with a top-rated sushi bar, locals love the curry, tofu, and other healthy varieties they find here. Your stomach will thank you! Traditional Chinese cuisine meets artful sushi creations in a single experience. They also feature a small offering of Southeast Asian meals and sauces. The menu is chock full of healthy items and variety that will satisfy every appetite.